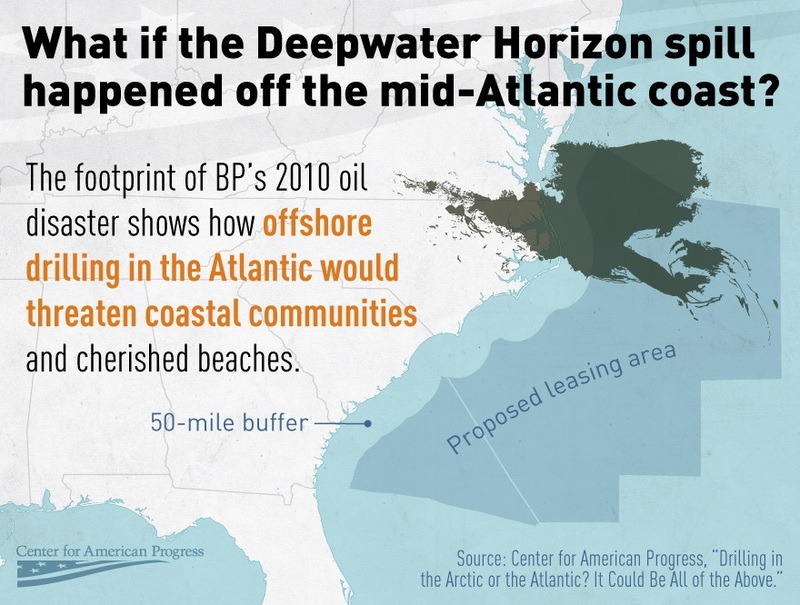 Cumulative 2010 BP oil slick “footprint” overlain on Atlantic coast. Source: Center for American Progress. 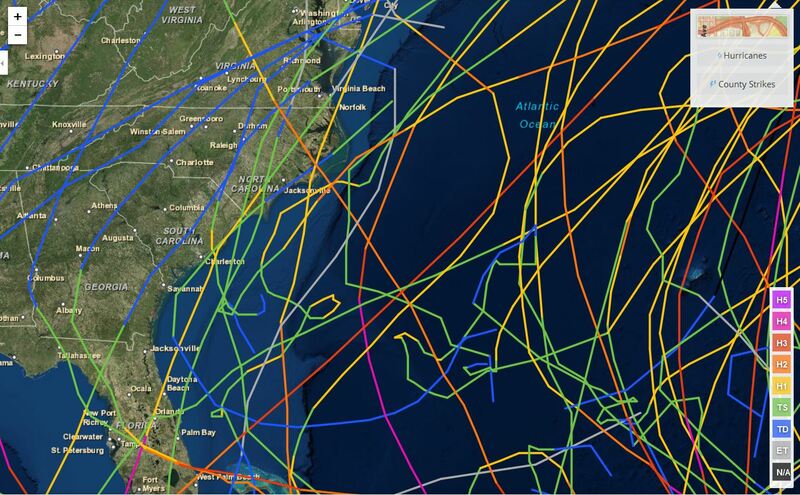 Tracks of hurricanes in the western Atlantic Ocean from 2000 to 2013. Source: NOAA. 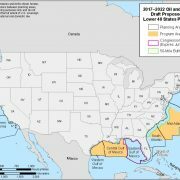 In case you’ve missed our many posts on this topic, there is a continuous leak of oil in the Gulf of Mexico from the site of an oil platform that was knocked down by Hurricane Ivan more than 10 years ago. We’ve observed the slick at this location dozens of times since we “discovered” it in 2010, it’s been documented on overflights by the Gulf Monitoring Consortium and others, and it’s been sampled by scientists from Florida State University. Our most recent observation of the leak at that site last month showed a slick about 13 miles long. At times the slick has been more than 20 miles long (big enough to span the Beltway, for you DC-area readers). Cumulatively, we now estimate this leak has spilled anywhere from 300,000 gallons to nearly 1.4 million gallons of oil. 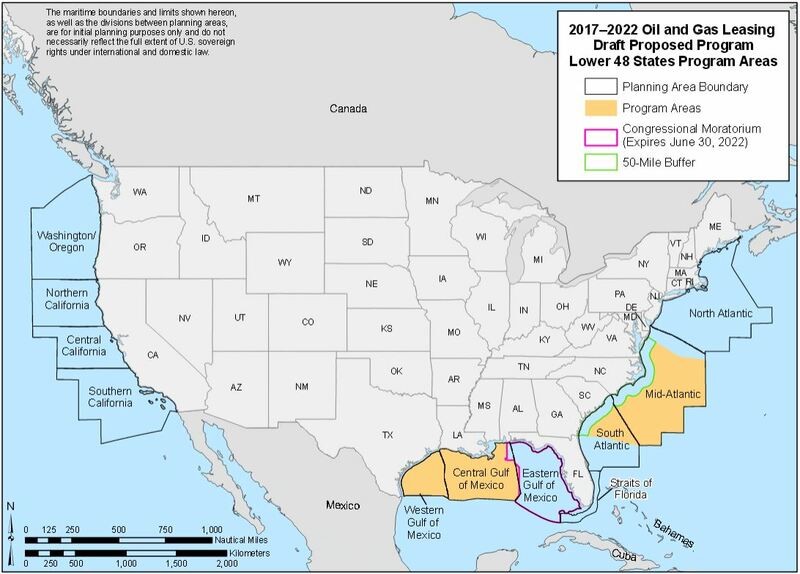 Not a very comforting prospect for those who live along the coast where new offshore drilling is being contemplated. By the way, you are encouraged to let the feds know what you think about this plan. Go here to submit your comments. The public comment period closes on March 30.